The size label is a standard item but an indispensable part in every piece of garment. 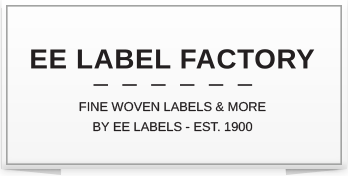 We have packs of size labels in stock in the most common color schemes, white/black and black/white, in sizes XS, S, M, L, XL and XXL and sizes 34 to 54. Because we produce them in larger quantities, we can offer the labels for a lower price. Sold in packs of 250 pieces. Size labels ensure that the consumer can find their way quickly through store shelves. What's more, the customer will know their fit exactly for the next time they make a purchase from your brand. So don't forget to order your size labels!